Large parts of our planet, including many high biodiversity areas, are managed by indigenous peoples and local communities who foster pollinators in their forest, gardens and fields. Bees and honey are fundamental to many rural lifeways, based on indigenous and local knowledge (ILK), and they provide multiple spiritual, cultural, economic, and physical wellbeing benefits. The challenge of bringing such rich knowledge and understanding into global biodiversity assessments is great. Nevertheless, in 2015, the new Intergovernmental Platform on Biodiversity and Ecosystem Services, IPBES, committed to do just that in their very first assessment, focused on pollinators and pollination in food production. The risks were high as no global environmental assessment of any kind had ever included ILK. One warm June evening in 2014 at the UNESCO Headquarters in Paris, Edgar Perez, a Mayan-descent Indigenous scientist from Guatemala, Phil Lyver, a Māori (Ngāti Toarangatira) Indigenous scientist from New Zealand, Douglas Nakashima and Ro Hill, non-Indigenous scientists, came up with the plan to start with a global workshop of ILK-holders. 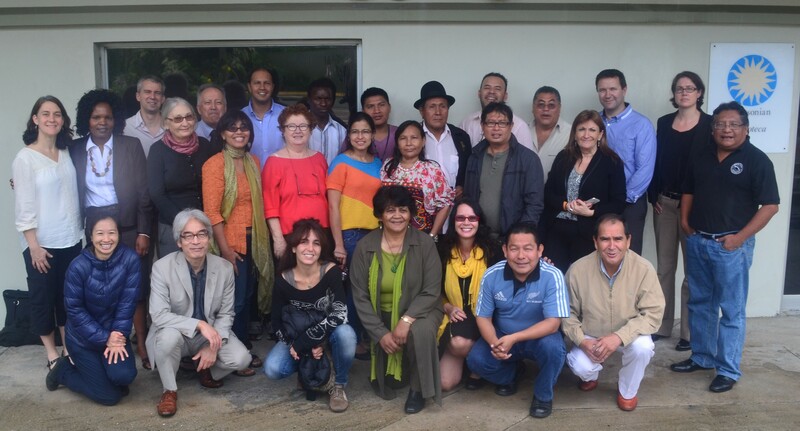 A few months later, UNESCO hosted an inspirational global dialogue in Panama City, bringing together an extraordinary diversity of indigenous and local knowledge-holders and leaders, social and natural scientists, and policy-experts, who shared deeply their insights, perspectives and practices. Many languages were spoken, and translators worked hard. The ILK-holders spoke of fostering diversity and heterogeneity in land-use as well as in their gardens, tending to the conservation of flowering resources for bees, butterflies and other pollinators, naming and classifying a great range of wild bees, observing their habitat and food preferences, and honouring their spiritual presences in landscapes. For example, Sandra Mungulu, a Ngariniyin Indigenous person from Australia, paints about Wandjinas [ancestral beings from the Dreaming, present in the landscape today] keeping the countryside fresh and healthy which allows the native bees to produce high-quality Waanungga, bush honey. 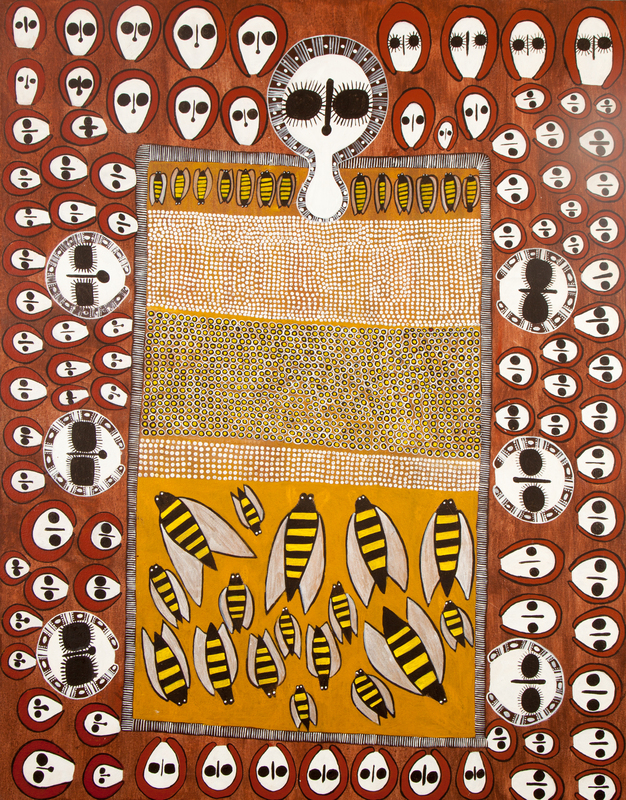 ‘Wandjina and Waanungga’, artist Sandra Mungulu (b. 1960), acrylic on canvas. © Sandra Mungulu/Copyright Agency, 2019. The Panama Dialogue was the first step in efforts which ensured a substantial inclusion of ILK in the IPBES Assessment—but mostly in one chapter, focused on socio-cultural values. Our team of co-authors from across the assessment realised that ILK about pollination is far broader and deeper than simply socio-cultural values. The livelihoods and culturally-based lifeways in traditional territories have generated ecological knowledge, landscape management and farming practices across generations, and also influenced biocultural diversity, an outcome of the continuing co-evolution and adaptation between people and nature. We decided to do some more work together to present this more holistic approach, drawing on a wider array of literature sources and a more comprehensive analysis. We also mapped the locations of the many case studies that we collected to give a better sense of the global scope and significance of these “biocultural approaches” to pollinator conservation. We’re excited to present the paper that has resulted! 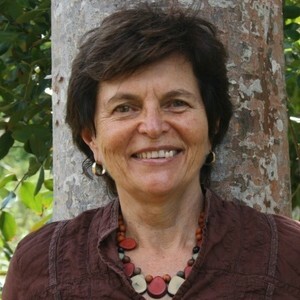 Dr Rosemary (Ro) Hill is a principal research scientist with Australia’s national science agency CSIRO and an adjunct associate professor with James Cook University. Her research is dedicated to social-ecological sustainability through collaborative environmental governance and systems thinking. This includes biodiversity, climate change adaptation and how diverse knowledge systems can inform resilience. Ro is also a member of the World Commission on Protected Areas, and the Expert Taskforce for Indigenous and Local Knowledge of IPBES and an Honorary Member of the Indigenous and Community Conserved Areas Consortium.